The European Union and Ukraine have signed a third loan agreement for Ukraine worth €1.8 billion. The EU says helping Ukraine’s ailing economy is now one of the biggest challenges for Europe. The bailout is part of a broader package for Ukraine, which includes €25 billion from the IMF and €15 billion from the EU, according to the European Commission Vice-President Valdis Dombrovskis. The EU stressed the money released is aimed at supporting reforms in Ukraine. "Helping Ukraine to achieve peace and transform the country into a modern, stable and prosperous economy is one of the most important tasks Europe faces today,” Dombrovskis said in the EU statement published Friday. The first €600 million installment will be transferred after the agreement is ratified by the Ukrainian Parliament, he added. Kiev expects 400 million euro aid from the EU within 7 days (168 hours) - Yaresko. - Mario, your weekend is spoiled again. In 2014 and 2015 the Commission gave Ukraine €1.61 billion under two similar Macro-Financial Assistance (MFA) programs. 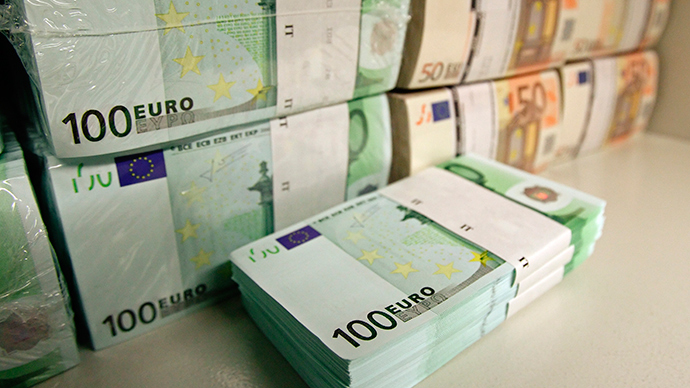 The €3.41 billion is the largest financial assistance to a non-EU country in such a short time. Kiev’s economy is now struggling. The country's total debt to foreign lenders is estimated at about $50 billion, 71 percent of GDP in 2014. In 2015, the debt is going to grow and reach 93 percent of GDP, according to the National Bank of Ukraine. The country is seeing increasing unemployment, and the national currency is almost a third the value it was a year ago. The average monthly wage in the country is about $160, one of the lowest in Europe, while inflation is expected to hit 34.5 percent this year.